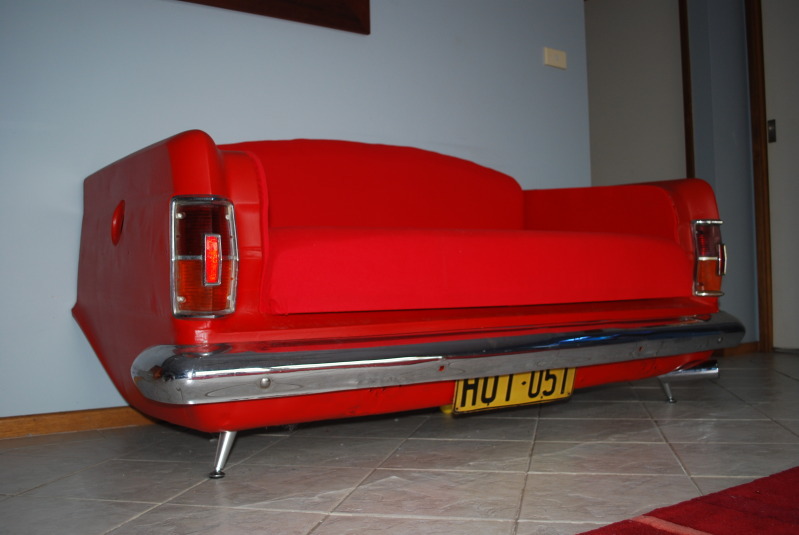 Check out this cool lounge posted by Dave (aka Hemisix) over on ozrodders. Built from a rooted rusty shell bought on ebay for $72, there’s no denying that it’s come up a treat. Check out the thread for some build pics to get an idea of how it was done.